Atlantic recording band Halestorm unveiled the release of their forthcoming album. The Strange Case Of hits stores on April 10th. The electrifying upbeat new single Love Bits (So Do I) is now played on radio. 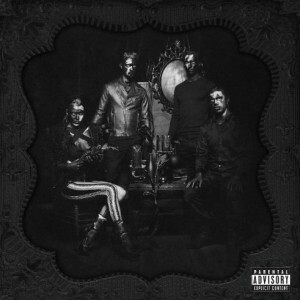 The track as well as three other highlights from The Strange Case Of features on Halestorm’s new EP Hello It’s MZ. Hyde is available now at all leading digital retailers. Produced by Howard Benson (who previously collaborated on their self-titled 2009 debut), The Strange Case Of is one of the most highly anticipated albums of the year. The band will embark in February, on a European tour alongside Shinedown. Afterwards, they wil hit road on a major US Tour with Godsmack and Staind. It starts on April 13th at Augusta, Georgia’s John Paul Jones Arena and then run through mid-May. For more details, check out their official website.